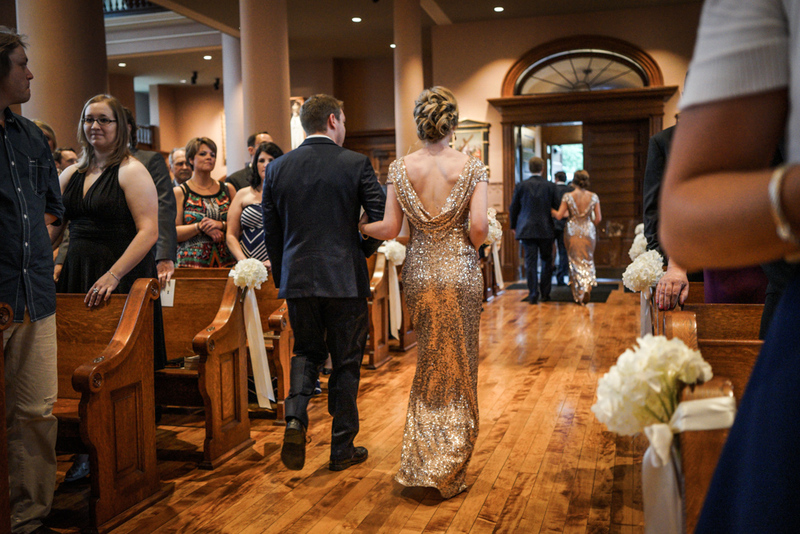 My friend Kristen got married at the Old Cathedral in St. Louis, and I was one of her bridesmaids. The wedding was beautiful. WE were beautiful. 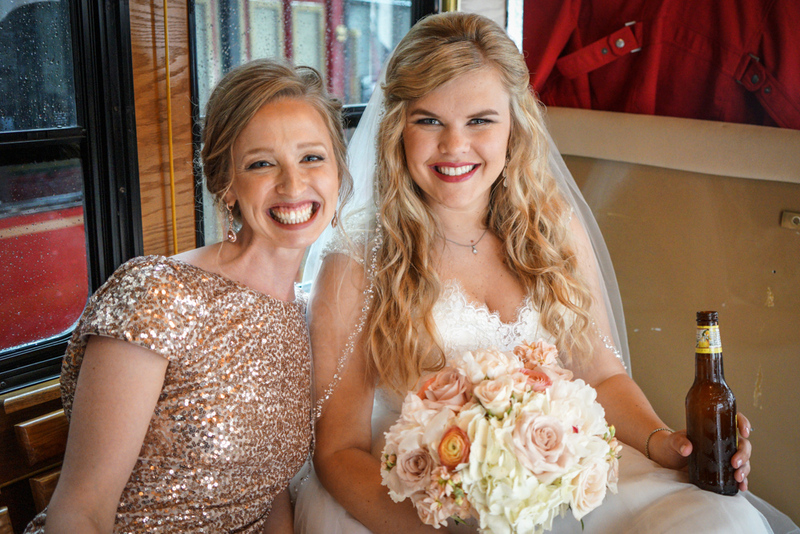 With our hair and makeup professionally done, and our sparkling gold dresses, we turned every head within five hundred feet as we trolleyed around to iconic StL locales like Soulard, a pre-Cards-game Busch Stadium, and Ballpark Village for photos. It was the most glamorous I’ve ever been in my life. 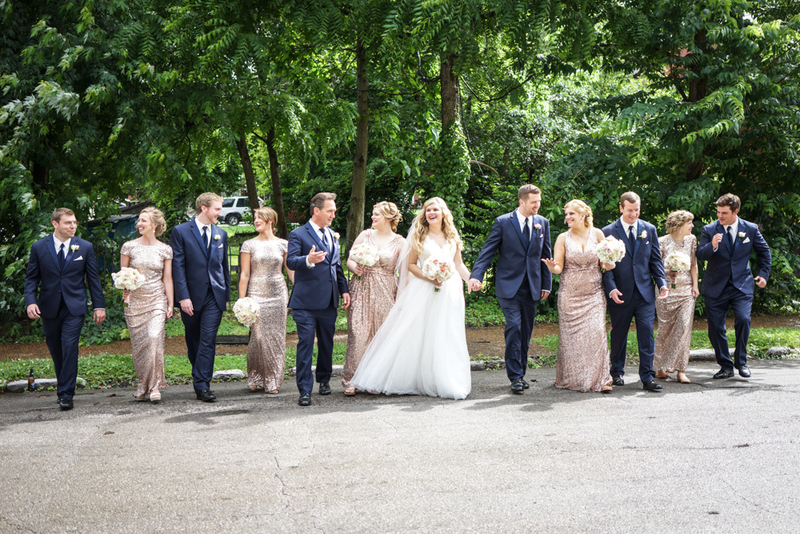 Kristen chose the Badgley Mischka Award Winner Gown for the bridesmaids, a stunning selection for any event with gold sparkles, open back, and a short train. When I first saw the model photo on the RTR site, my reaction was something like “Wow that is GORGEOUS, but I’m probably too short to pull it off.” But I kept an open mind. Five girls were in the wedding party. Two sisters were maids of honor with different dresses, so that left three of us scheduled to receive our boxes just two days before the wedding. One of my favorite things about RTR: You get TWO dresses with your Rent the Runway rental, greatly increasing your likelihood that the dress will fit. After reading every review listed for sizing help, I settled on the 2R with the 4R as my second size option. I normally wear a 4 or 2 dress, so I opted for a larger back-up. At 5’3, I was the shortest bridesmaid in the wedding, and I may have chosen a petite length, but I definitely did NOT want my dress to be too short. And with the groom’s 5’6 sister opting for long, I chose regular. As a full-time traveler, I scheduled my dress to arrive at the bride’s parents’ house on the Thursday before the wedding. The wedding was on Saturday. A week before it was scheduled to arrive, I received a shipment notification, and my dress arrived on Wednesday — a day early! 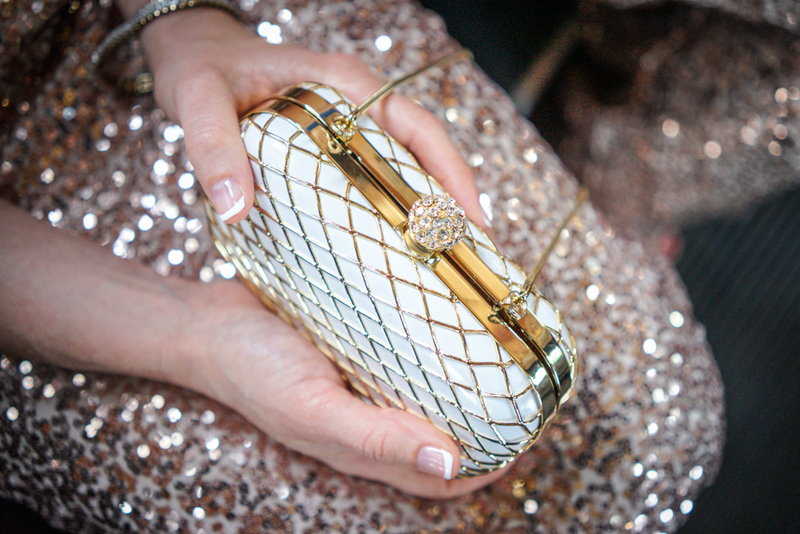 I added the Franchi Coronation Clutch to my order — with my $25 first-time customer discount, it was practically free. D: It fits! I tried on my dresses on Thursday night. 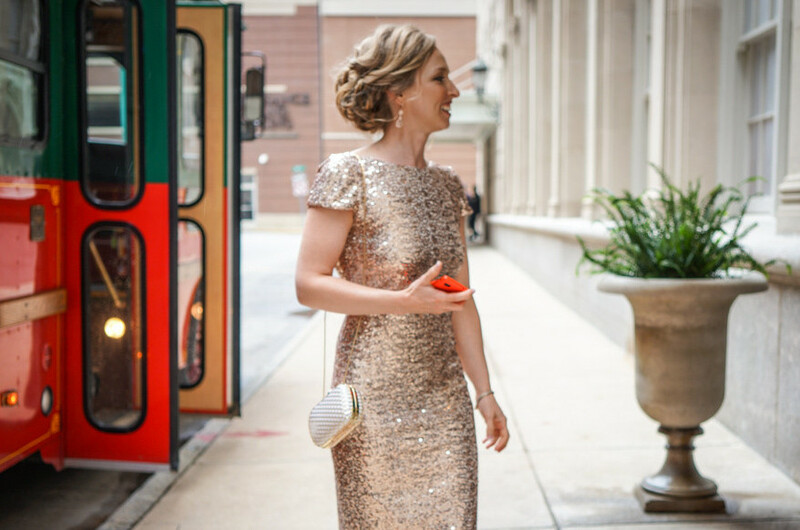 The overall fit was fine, the dress was jaw-droppingly GORGEOUS, and I immediately realized I needed taller heels! No big deal. Tall wedge heels that added about 5″ to my height worked like a charm without being uncomfortable or making walking a challenge. R: It fits! R tried on her dresses on Wednesday night, and the fit and length were perfect. T: It’s too long! T had tried on a 4L in advance, and the length was perfect. But now her 4L was WAY TOO LONG… and it was the night before the wedding. 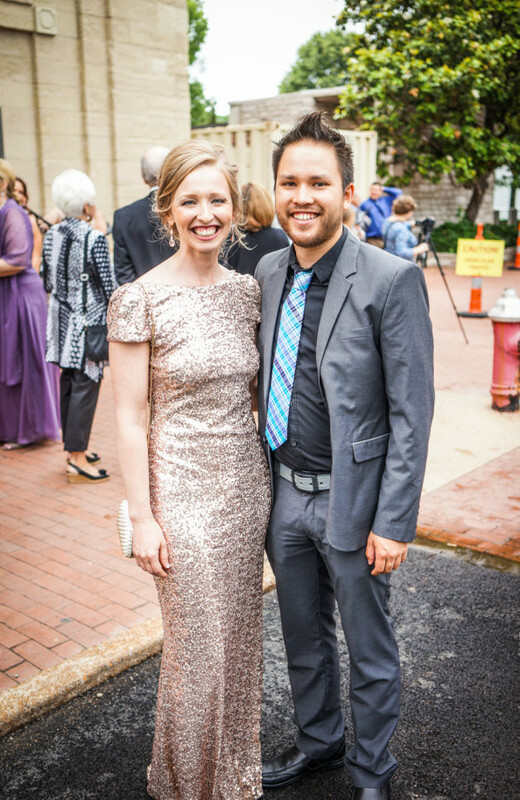 They discovered that the 4L T had originally tried on must have been hemmed — without RTR’s permission — and made that particular dress a reasonable length on T. Good thing I had an extra 4R she could wear! With three girls renting and several extra size options, this wasn’t a problem after all. Tip: Try on your dress IMMEDIATELY when you receive it. If it doesn’t fit, their email says “call us at 800.509.0842 to swap it and we’ll overnight you a new dress in most cases.” Getting a different size will be more possible the sooner you contact them. 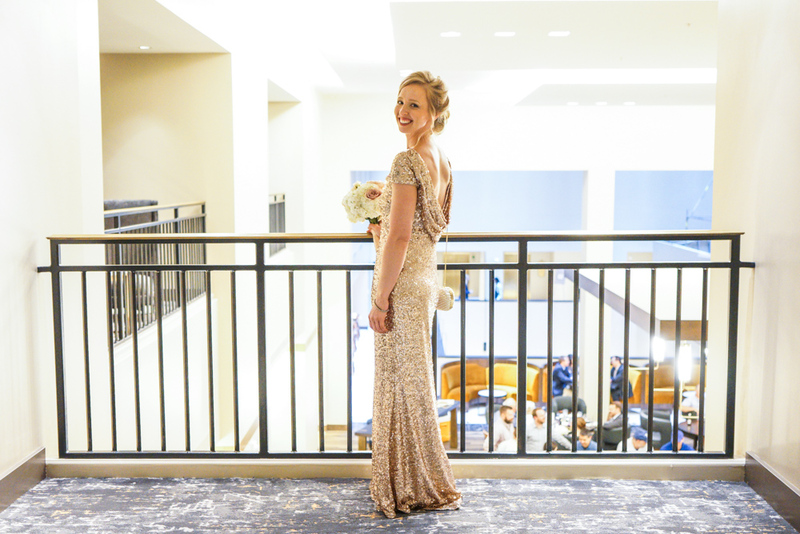 If you’re renting the Badgley Mischka Award Winner Gown, here are some numbers to help you decide which length to choose. D: 5’3″ / Wore 2R with 5″ heels, 0R or 0P may have fit better. R: 5’6″ / Wore 6L with 2-in heels, perfect fit. T: 5’6″ / Wore 4R with flats, perfect fit. 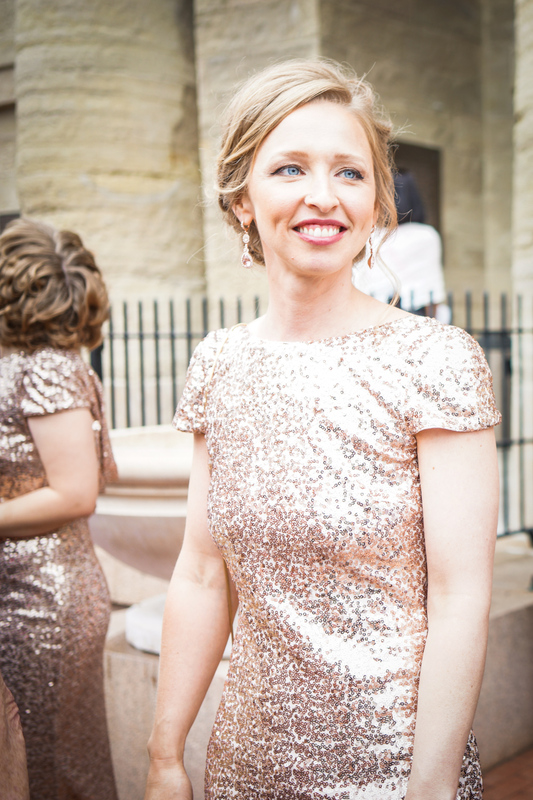 So… were bridesmaid dress rentals from Rent the Runway a good idea or bad idea? We had some minor sizing issues, and in hindsight we should have tried on the dresses sooner for a chance at getting a more suitable size, but we looked FREAKING AWESOME. Despite the tall, skinny model Rent the Runway uses to market the dress, the Badgley Mischka Award Winner Gown looks surprisingly FANTASTIC on a variety of shapes and sizes. It’s a heavy fabric, so though mine was slightly too big, it wasn’t noticeable. The thick fabric nicely hides undergarment lines, too. Notes on the Badgley Mischka Award Winner Gown: The cap sleeves were the only slightly uncomfortable part of the dress. They restricted upward arm movement. 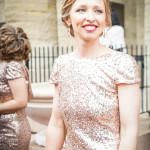 The sparkly sequin dress also made one sensitive-skinned bridesmaid feel a big itchy, but it’s not glitter, so that issue was minor. 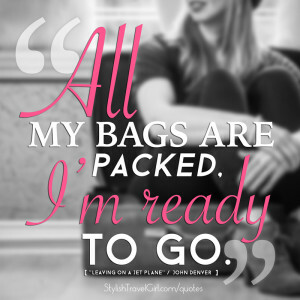 Ready to Try Rent The Runway Yourself? 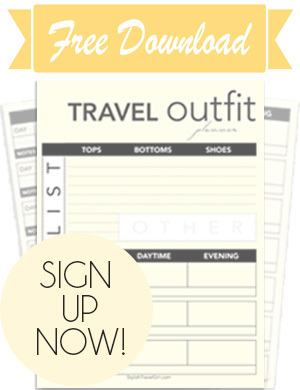 Get $25 off your first rental from Rent The Runway with our referral link. 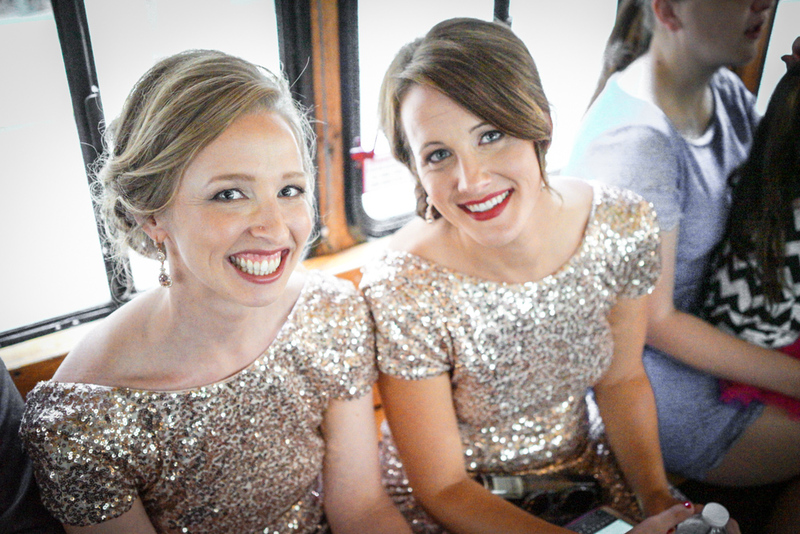 See the full album from our Rent The Runway bridesmaid dress rental experience on Facebook. 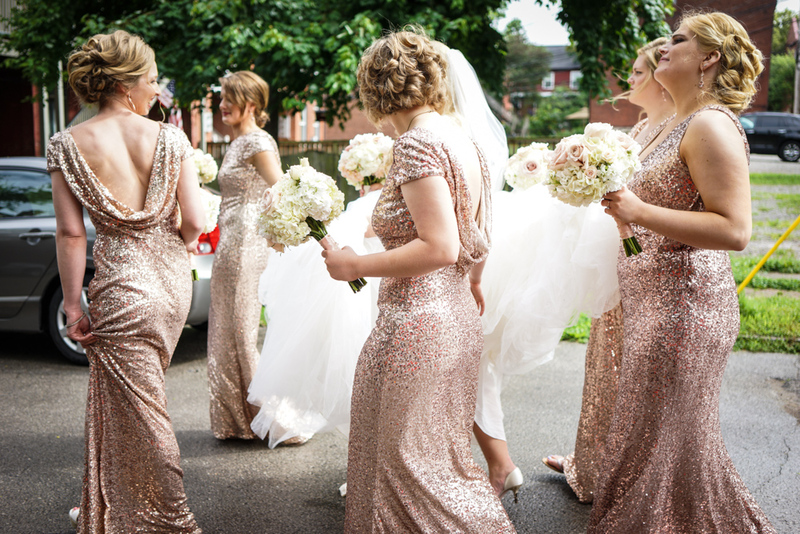 Have you or someone you know gone the rental route for bridesmaid dresses? Did all turn out well for the big day? Share your story in the comments! 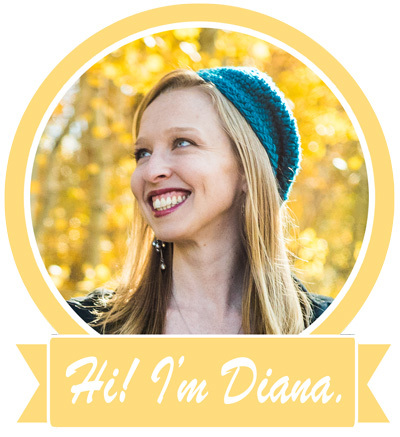 Diana, you look absolutely gorgeous!!!! That is an amazing dress and you wore it so well! How glamorous!! What a wonderful idea to rent a designer dress instead of buying a dress you’ll never wear again. Ahh! My wedding is in April and this is the exact dress my bridesmaids are renting too! You all looked like superstars in it! Rent the Runway is the best, isn’t it?! Thanks Jen! This dress was amazing. Your bridesmaids will look awesome! Best wishes on your big day!